Engaged learning!!! Yep, that's what this is! 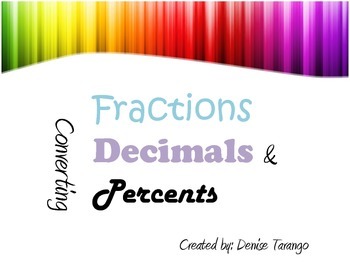 A fun activity to practice converting fractions, decimals, and percent. This activity includes Learning objective, DOL: Demonstration of Learning, and Texas TEKS for 6th and 7th grade.